I love South Indian people. I grew up going to a fairly elite Christian school in Delhi, which ironically means that it was run by South Indian Jesuits. The Patrician Brothers to be precise. While in school, we were taught by a predominantly Keralite cadre. I love South Indian people. I grew up going to a fairly elite Christian school in Delhi, which ironically means that it was run by South Indian Jesuits. The Patrician Brothers to be precise. While in school, we were taught by a predominantly Keralite cadre of Science-worshiping teachers. A fair part of my adolescence was spent in mocking their accents. Which was quite fun when I come to think of it. I also made some very good friends who shared their tiffins with me, and I was introduced to the fine art of eating an idli smeared with sugar. Not yuck, trust me. While in Pune, I shared an apartment with a Keralite who had a fine arts degree and was one of the better artists I have ever seen. Some of his work (however difficult to understand) was very pleasing yet complex. But he was quite the stereotypical Keralite, despite of having the gift of the arts, he ended up working with an IT major. How f****** unfortunate. He should have been sitting in the wilderness of Munnar and Kodaikanal eating the occasional shroom and creating paintings, but he CHOSE to come to IT hub in Pune to beautify PowerPoint presentations using Coral Draw. That’s the problem actually. South Indians are among the most creatively gifted people I have ever met and its quite sad that they all end up smothering their talents and selling themselves toIT companies and the like. He was not much of a drinker, but he did let go when the occasional friend came. One of his friends was a Sound Engineering major at FTII. Meeting this guy was gold. He played the piano professionally. And he aspired to get into the Southern Film industries and gradually make his way up to Bollywood and perhaps Hollywood (a la Resul Pookutty). He had long, unsanitary hair and paid little heed to personal hygiene. But he was a genius within and somehow he knew it as well. Today, he does stage shows to cover himself while his mother looks for the perfect mallu bride for him to settle down. These IT companies are dream pits. You get recruited like someone is drawing water with a bucket. If you fall within the bucket, then expect to quash your dreams at the gate. And embrace a lifetime of monotony, sycophancy and conformism. Hopes and dreams can be dropped into the pit. Talents can lay waste, or get reduced to a Sunday hobby. A part of South Indians’ success has been their ability to work quietly, consistently without complaining much. But why? This suffocates me. We are loosing some of our brightest minds to this conformism. In a community which prides itself on being forward thinking and mostly matriarchal, it is unfortunate that most kids feel the epitome of success is going “on-site” for a year on behalf of your company. And small sacrifices like night shifts, no geographical stability, high pressure- no proportionate reward systems, are a small price to pay. Our artistic wealth would’ve been vastly poorer had AR Rahman been sitting in on a desk coding with Java. Or if VVS Laxman were to conform and continue with his medical practice. We would’ve lost a maestro and an outstanding test cricketer to ‘conformism’. Again. Nothing against IT companies of course. They’ve driven a sea of change in the economy and changed perceptions internationally. 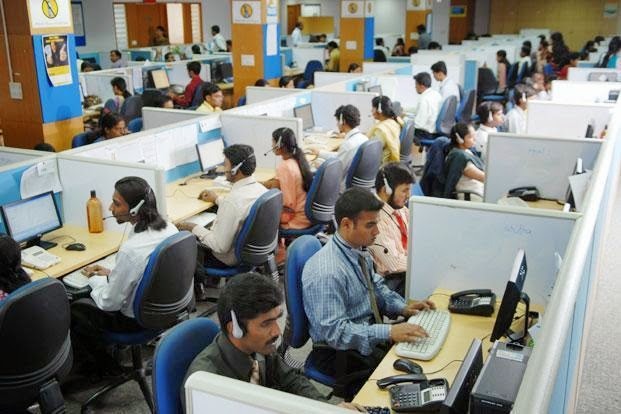 From being the land of snake charmers, we’ve at least managed to become the land of call centers and outsourcing. But the problem lies with an entire community of exceptionally talented individuals, making these companies an end their life and a widely important element of their social standing.